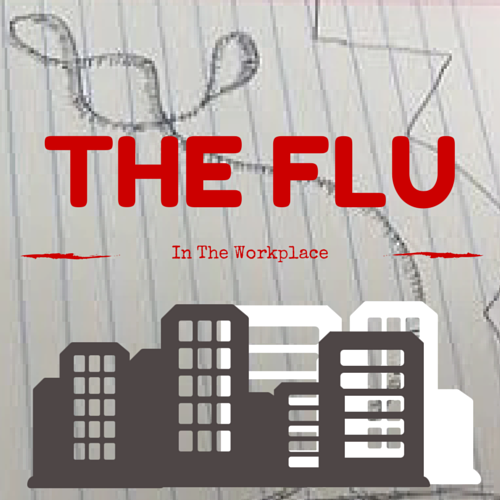 Flu in The Workplace: About $7B in Lost Productivity | Page 7 | Challenger, Gray & Christmas, Inc.
With the country’s attention focused on the Ebola virus, many American’s may overlook the fact that we are entering flu season. And, while it is impossible to predict how this flu season will compare to previous years, one thing is certain: employers nationwide are likely to see millions of lost work days and billions of dollars in lost productivity. “Obviously, there is a lot of concern about the Ebola virus, right now. While the anxiety is understandable, a widespread outbreak is considered by most experts to be unlikely. We are far more likely to see a flu outbreak, which certainly is mild when compared to Ebola. However, the impact on business can be anything but mild,” said workplace authority John A. Challenger, chief executive officer of global outplacement consultancy Challenger, Gray & Christmas, Inc.
“Last year was one of the worst flu seasons on record, with more than two-thirds of states reporting that the flu outbreak had reached ‘severe’ levels. New York alone saw more than 15,000 reported cases in the first month of the season, compared to fewer than 5,000 in the entire previous season. These outbreaks and the resulting workplace absenteeism can have a significant impact on a company’s bottom line; particularly in smaller companies where illness can spread quickly and incapacitate large portions of a workforce,” he added. The Centers for Disease Control estimates that, on average, seasonal flu outbreaks cost the nation’s economy $10.4 billion in direct costs of hospitalizations and outpatient visits. That does not include the indirect costs related to lost productivity and absenteeism. Online resource, Flu.gov, cites one study estimating that each flu season 111 million workdays are lost to flu-related absenteeism, which amounts to about $7 billion annually in lost productivity. According to Challenger, employers need to enter flu season armed with information, as well as with a plan on how to prevent the virus from spreading through the workforce. Employers should also consider ways to sustain business continuity in the event of an outbreak. “By the time most employers react to some type of outbreak within the ranks, it is already too late. So, prevention is essential. For the most part, this entails some simple, common sense measures, such as encouraging employees to wash their hands, offering free or low-cost flu vaccination shots, and routinely washing and disinfecting work surfaces. Most importantly, workers who suspect they are ill should stay home from work,” said Challenger. “While sick employees may think they are doing the right thing by ‘toughing it out’ and coming into work when they feel ill, they are only making matters worse. Whether it is motivated by job security or a desire to continue making a contribution in an overburdened workplace, presenteeism, as it has come to be called, only spreads illness to more workers and further damages the employer’s ability to maintain optimum business operations,” he added. “Beyond prevention, employers may also want to establish a plan for when it appears that the virus is spreading. For example, they may want to allow more workers to telecommute. They may also want to postpone all meetings or at least change them to conference calls. 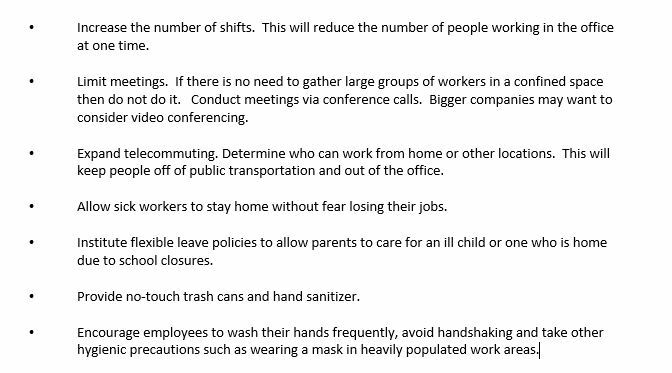 These steps might help ensure that the flu doesn’t take down your entire staff,” said Challenger.